This tutorial will explain how to get a Composr installation running on your own Windows computer. Linux is easier as it usually comes with everything Composr requires preinstalled. This tutorial will give basic instructions for installation of the various pieces of system software that Composr requires, instructing to read the products' own documentation when necessary. It is well worth pointing out that there are a number of 'all in one' packages that may be used to install AMP (Apache , MySQL and PHP ) without any special configuration for them to appropriately bind to each other. This may be preferable and we will cover it first. However, by doing so you inevitably will not know as much about the environment that was created for you. 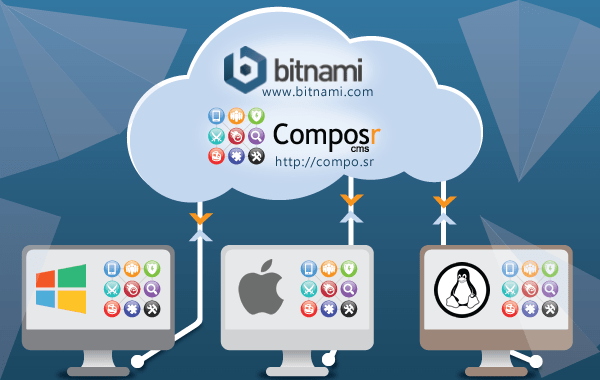 There is a Composr software stack for Bitnami that allows easy installation on Windows (and OS X and Linux too). Bitnami is professionally-maintained and a good choice. They also provide all kinds of hosting and virtual machine services. The stack bypasses the Setup Wizard, with a default set of addons installed. You may want to run the Setup Wizard yourself to get more control over the default configuration. WampServer lets you mass install the software for running an Apache-based server. We aren't in a position to tell you which is best at this time, we're just listing some options for you. This tutorial is primarily about how to install an Apache set up on Windows. However, we actually have a Microsoft Web Platform Installer for Composr. If you download the Microsoft Web Platform Installer, you'll find Composr is in there. This uses IIS, not Apache. This should work well, however we aren't able to regularly test it as it is very different from our normal development environment and workflow. Let us know if you have any issues. If you'd like to use Microsoft Web Platform, proceed to the Web Platform website. You may want to set full permissions on the install directory, at least initially, as this will be required for addon management (which the Setup Wizard does). 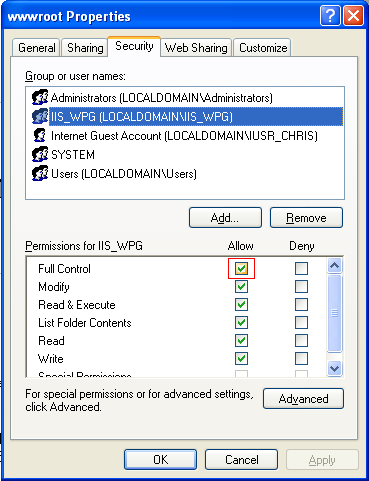 Assign full write permissions to 'IIS_IUSRS' and 'IUSR'. One small note – if you are developing locally, then choose to use WebMatrix to push a local site live, make sure you adjust the base URL setting in your _config.php file to reflect your live URL. You can also find the packages on our download directory. To install these you need IIS and Microsoft Web Deploy installed. 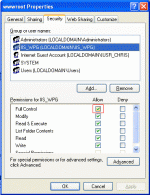 From IIS manager you can right click on a site, and choose to deploy. You may find it is buggy, e.g. complaining about a MySQL Connector not being installed, even if it is. To workaround this you need to install a similar webapp package from Microsoft Web Platform Installer. This 'magically' seems to fix the dependency problem. The first thing you will need is a web server. Depending on your version of Windows, you may have the Windows web server available to you (Internet Information Server). If not, the best course of action is to install Apache. Go to Welcome! 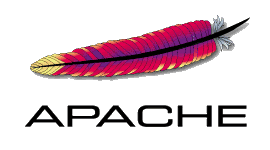 - The Apache HTTP Server Project and download and install whichever Windows release you are comfortable with. The PHP folk recommend to avoid version 2, but if you are only running Composr locally for yourself, it doesn't matter. You may wish to enable mod_rewrite in Apache. Next you will need a copy of PHP installed. Go to PHP: Hypertext Preprocessor and download and install the latest stable Windows release. Follow the instructions to get it integrated with your web server: these may be rather complex, but it would be self-defeating for us to try and rewrite them for you. Go to MySQL and download and install the latest stable Windows release. MySQL comes with a powerful Windows installer, so configuring MySQL itself should be a walk in the park. Depending on your PHP installation, you may need to enable the mysql PHP extension in the php.ini file, and then to restart your web server. Also enable GD2 if it is not already enabled. If you want to install a supported third-party forum on your computer, follow their documentation to install it. We don't recommend using third-party forums, however, so we recommend you skip this step and just install Composr with the Conversr option. Because you are unlikely to have an account based FTP/HTTP setup like webhosts provide, using the quick installer is probably not the truly quickest option. Fortunately due to the (wonderful!) inheritable Windows permissions system, and the fact you are at your own computer, you can just extract the manual installer files and run through the installation without having to set any file permissions or do any uploading. 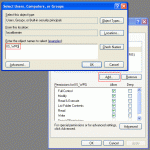 If you are running IIS : Give 'Full control' to 'IIS_WPG' and 'IUSR_<computer-name>', as demonstrated in the screen-shot. On Windows Server 2008+ these may be called 'IIS_IUSRS' and 'IUSR'. 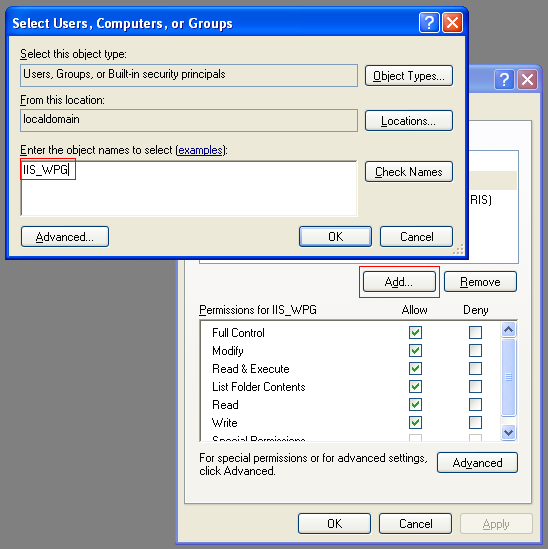 If you are running Apache: Apache is probably running with the credentials of your own user account, and hence special permissions are not required. By default when you extract files, they are set to inherit permissions of the parent directory: hence by setting the permissions of this directory you have allowed the files extracted into it to all have web server write permission. This would be a potential security risk on a shared hosting environment, and it is advisable to make sure that your web server is not accessible from outside your computer/local-network. If you find that some files underneath your install directory, often ones moved in, have the wrong permissions, you can manually set them to inherit permissions (from the security tab of the file, click the advanced button, and set inheriting). Or you can tell Windows to reset permissions on all the files underneath the install directory (from the security tab of the install directory, click the advanced button, and select as demonstrated in the screen-shot). Launch the installer by opening up http://yourbaseurl/install.php in your web browser. Just run through the installer normally, and by the end you should have a working Composr installation.